Our ultrasound today went very well. 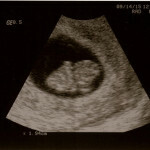 Baby is measuring right where we expected them to: 6w3d. We saw a beautiful heartbeat at 131 bpm. 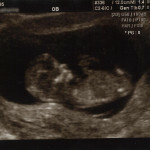 We also found out this baby came from my left ovary, which is excellent news. I rarely ovulate on my left side, but the right side of my uterus is the side with all the damage. 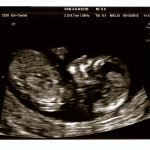 So the fact that baby has snuggled in on the left side is promising. We’ve graduated from our RE, and the next ultrasound is with one of the midwives in 2 weeks. 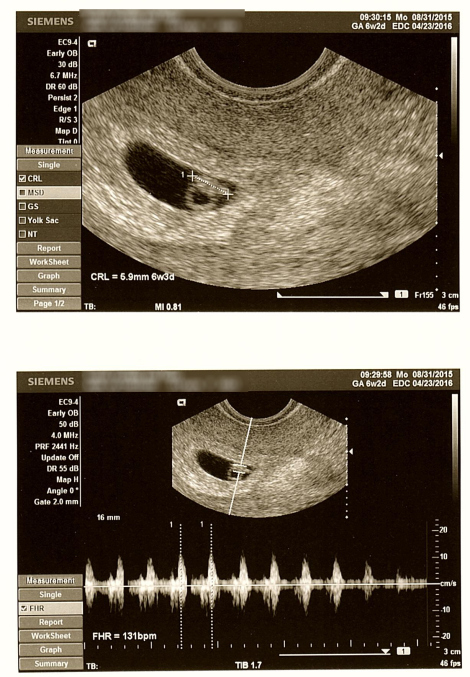 Our first loss was a missed miscarriage, discovered at the 8 week ultrasound. 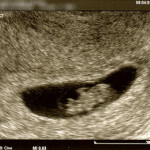 Baby grew to 6w6d before it stopped developing. So while the ultrasound today was incredibly reassuring and exciting, I know we aren’t out of the woods. I keep hoping this baby will grow and thrive and be in my arms in 8 months. For the next 2 weeks, I’ll be holding the tiny flicker we saw on the screen today close to my heart.